This event is expired and no longer open for registration. Breathing: the most important, least-understood factor -- not only in training, but in life. A lifetime habit of debilitated breathing leads to excess stress, immobility, degenerative disease, and premature aging -- but there is much you can do to improve your situation. A 4000 year old moving meditation method that improves health and equinimity. Why the ancient martial artists placed priority on breathing and how you can use such clasical techniques in your daily life. This is event is expired and no longer open for registration. In this course, Steve explains how to prepare for martial arts competition. According to Steve, much of this is psychology, as well as many practical physical matters like precise timing of strength and skills training, to conserve vital nerve energy while maintaining absolute strength, some supplementation, and cutting weight. 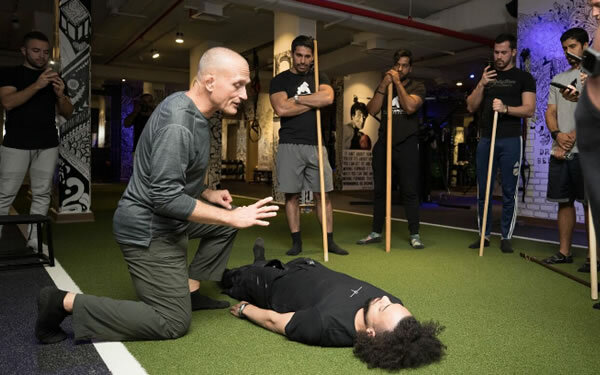 While this athletic performance seminar is valuable on its own merits, it extends and focuses the material of the Integrated Breathing seminar and it is strongly advised to take both courses for optimum results. 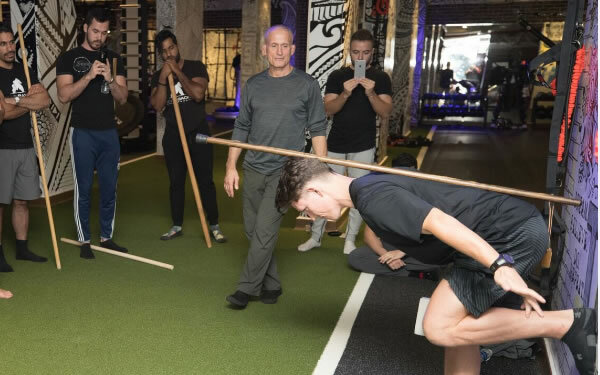 The athletic performance seminar is mainly lecture and experiential demonstrations, and opportunity to practice the techniques. People get confused: many martial artists attempt to apply the same breath techniques used for heavy weightlifting and feats of strength, but this is the exact opposite of what is best for jiu jitsu, judo, and MMA. There are ways to refine your breathing for better performance in martial arts while doing your normal body weight [and other] resistance strength training routines -- you don't need to do any exotic stuff, such as wearing face masks or living at altitude. Re weight-cutting, this seminar covers how to safely and effectively cut fat and water from the body for weight-class events, but it is not about extreme actions and drastic cuts. This material assumes a weight-cut of up to three kg. In a reasonable amount of time, like 8 weeks. Steve's methods do not rely on externals and supplements, but discipline, and self-reliance, wits, and intelligence. If the athlete has gotten fat, he needs more fundamental education than these details to regain his advantage.